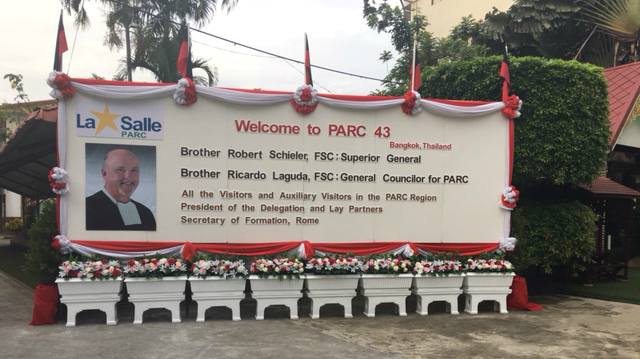 A significant decision by the Visitors' Conference (PARC 43) determined that La Salle Technical College, Hohola in PNG and the Bamboo School in Thailand will be the two PARC "Beyond the Borders" projects as mandated by the 45th General Chapter Proposition 27. During the meeting Br Peter Phat, Visitor of the District of Vietnam offered to send one young Brother to be part of the project which must also include Lasallian Volunteers. This is certainly an exciting venture. Three Lasallian Partners also attended part of the meeting given their international Institute responsibilities. Merv McCormack (CIAMEL) Ria Green (Tercentenary Committee) and Keane Palatino (ICYL) made significant contributions to the agenda. A detailed report including the closing remarks of Br Superior will be tabled at the next District Council meeting.